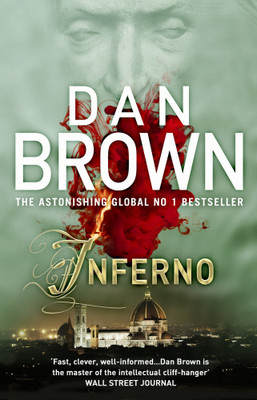 Dan Brown rose to fame in 2003 with his controversial international best-seller “The Da Vinci Code”. This, however, was not his first work. He made his debut in the field of fictional thriller novels with “Digital Fortress“, published in 1998. Though the book primarily belongs to the techno-thriller genre, Dan Brown’s love for puzzles and anagrams, which he later utilised as a base to build his most successful stories, also makes its first appearance here. Susan Fletcher, intelligent and attractive, works as a head cryptographer at the National Security Agnecy, USA. The NSA houses one of the most efficient super-computer of the world called the TRANSLTR, which can practically crack any code and is the backbone of NSA’s electronic data collection and analysis network. The chain of events starts with NSA’s head, Commander Trevor Strathmore, calling Susan to office and informing her about a new and complex computing system defence program called “Digital Fortress” that the TRANSLTR has encountered, and strangely is not able to break through. Susan starts working on breaking the code and discovers that it was written by a man called Ensei Tankado, a former NSA employee turned protestor who is against the digital spying by NSA in personnel lives of citizens without their knowledge. Tankado has informed NSA that he is going to put the “Digital Fortress” on his website for open sell to everyone who wants it. Knowing that his life could be endangered by NSA in an effort to prevent this, he is working with a partner by the code name of “North Dakota (NDAKOTA)”, who would release the software for free, in case Tankado dies. Thus, NSA is practically left with no way to stop Tankado but one: unlock the code of “Digital Fortress”. Strathmore believes that Tankado carries the password for the code on his person in form of a ring. He sends David Becker, Susan’s boyfriend David incidentally, to retrieve this ring. Unfortunately Tankado dies in a heart attack before David meets him, but not before giving away the ring in last moments of his life. From here starts David’s search for the ring and he is not alone in this; an assassin called Hulohot follows him like a shadow killing everyone David is trying to track. It also appears that “NDAKOTA” isn’t as trustworthy a friend as Tankado thought. He is in contact with Numataka, chairman of a giant computer company, negotiating the “Digital Fortress” for his own benefit. And Hulohot also is in employ of NDAKOTA who wants to get the ring for a faster access to the code. Meanwhile at NSA, a technician named Phil Chartrukian notices that TRANSLTR is processing something that it can’t break. He believes this program to be a virus and decides to check “Gauntlet” (virus filter) to confirm whether “Digital Fortress” was allowed directly in the TRANSLTR bypassing this filter. He, however, is murdered by a mysterious assassin in the subterranian area damaging the cooling system of the super-computer in process. The only two persons present there besides him are Strathmore and Greg Hale, an NSA employee. Susan discovers a few leads that make her suspect that Hale is NDAKOTA and hence, the murderer, though he proclaims Strathmore to be the villain. Susan gets the first break when she discovers that NDAKOTA is none other than Tankado himself; but before she can discover the full secret, Hale also is murdered. Susan is now faced with questions and doubts: who is commiting murders inside NSA building? If Tankado and Ndakota were same person, who is communicating with Numatakao with an intention to make chips with in built “Digital Fortress Trojan” that can make every computer practically available for hacking? Who put “Digital Fortress” inside the TRANSLTR” bypassing the Gauntlet filter? The situation is getting worse at NSA. The TRNSLTR is getting heated up to such levels that its going to explode soon. Susan realises that the “Digital Fortress” is not a coded protection software but a virus that’s eating the super-computer’s defences from inside and very soon all NSA’s classified data will be available to hackers. In the final confrontation with Hulohot, David is able to kill him and get the ring, but the password is in coded format. What happens next? Can Susan break the code of the ring and save the NSA’s information? Will she be able to escape the building alive in event of the inevitable explosion? Will she ever meet David back? And who is the villain and what were his / her motives? The book thus touches upon the digital prying by various authorities in form of collecting and analysing electronic surveillance data for citizens and the threats posed by such data falling into wrong hands. In today’s world, there is hardly a moment when a person is truly alone or is not trackable. The exact location and activities of any person can be traced at any moment through the electronic devices he/she uses like celllphones and portable computers with wi-fi internet. Being “always in-touch” with the world also means that you are always being watched by someone. The story is full of thrilling events but with a few loose ends here and there. The anagrams (Tankado and Ndakota) and a little bit of roman square decoding at the end are present in addition to the hi-fi super computer system, love triangle and a typical Dan Brown professional assassin.